Head out to enjoy live music. This weekend, in particular, has a variety of options that hit nearly every genre to ensure that everyone is having a great time. Boat Patrol will be playing genres ranging from bluegrass to avant-garde jazz, making this band unique and something you won’t want to miss. The Jerry Schmitt Trio will be playing country music, and are dubbed one of the best live performers in Wisconsin! Pfiffner Park will hold the annual Riverfront Rendezvous this weekend, featuring tons of live music, including The Original Wailers to Tonic! Never been to the event before? Here are the five things you need to know about Riverfront Rendezvous. Insider tip: For more live music throughout the summer, keep an eye on the Elbow Room, Levitt Amp, Central Waters Brewing Company, Bullheads Bar and Grill, and Pfiffner Pioneer Park for regular weekend shows! Learn more about the top spots for summertime live music here. Start your day off on the water by fishing. Join the fun and participate in the Carp Classic Fishing contest as part of the Riverfront Rendezvous celebrations. Then, explore the backwaters and sloughs of the Wisconsin River or the shallow waters of the Plover River or the Tomorrow River. Find more places to cast away here, including shoreline fishing spots here. In the afternoon, head out to canoe or kayak. 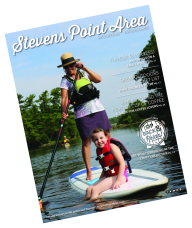 Popular paddling routes in the Stevens Point Area can be found here. If you don&apos;t have your own kayak or canoe, there is no problem! Outdoor rentals are available through DivePoint Scuba Paddle and Nature Treks. Insider tip: DivePoint Scuba Paddle holds demo days throughout the season to test drive the kayaks and give tips on how to paddle. Then, in the evening, grab dinner with a waterfront view. Try Bullheads Bar and Grill, with live music and fireworks this Saturday. More waterfront dining can be found throughout the region, including Anchor Bay, Tiki Beach, Bahama&apos;s, Club 10, Lakeside Bar, Shipyard and Two Lakes. Fill your stomach by grabbing some breakfast grub at a variety of downtown locations. Try brunch at Father Fats or grab and go from Emy J’s or the Main Grain Bakery. For a more classic take, don&apos;t miss the Stevens Point Area&apos;s oldest restaurant, the Cozy Kitchen, or the Wooden Chair. Insider tip: Don’t let the fun stop with breakfast! Emy J’s hosts Open Mic Night on the third Monday of every month, so go on down to see and hear some local entertainment in a relaxed environment. Then, walk off breakfast and explore the Green Circle Trail! Start the Riverfront Trail segment, between Pfiffner Pioneer Park to Bukolt Park. Or, head to the Stevens Point Sculpture Park to see the newly replaced &apos;Sand County Bench&apos;, back in the park! Insider tip: There are more than 30 miles of trails to explore, that are connected to the Green Circle Trail. Bonus. The trail is open for recreational use all year long. That night, head back to Pfiffner Pioneer Park for the annual Riverfront Rendezvous festivities! 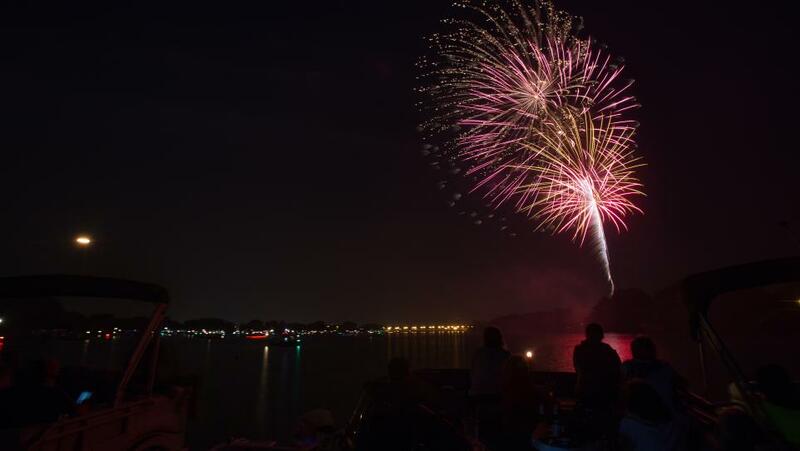 Grab some delicious food from the vendors, listen to free live music and scope out the best spot for viewing the lighted boat parade and fireworks. Insider tip: Across the river from Pfiffner Pioneer Park is K.A.S.H. Playground—a great place to take your kids to run, jump and play. Looking for more? Get active with the Stevens Point Running of the Flag, with proceeds going to the Veterans Relief Fund of Portage County, helping veterans with emergent needs. Then, grab the family and plan to attend the Fourth of July Parade in downtown Stevens Point starting at 11am, or head to Amherst for the Family Fun Fest, including fireworks at dusk. That evening head out for entertainment. Enjoy a water-ski show with fireworks at dusk at Bullhead&apos;s, or find live music with the City Band or PJ&apos;s Live. Find more events on the Fourth of July in the Stevens Point Area here.